0151 625 7688 and we'll be happy to help! 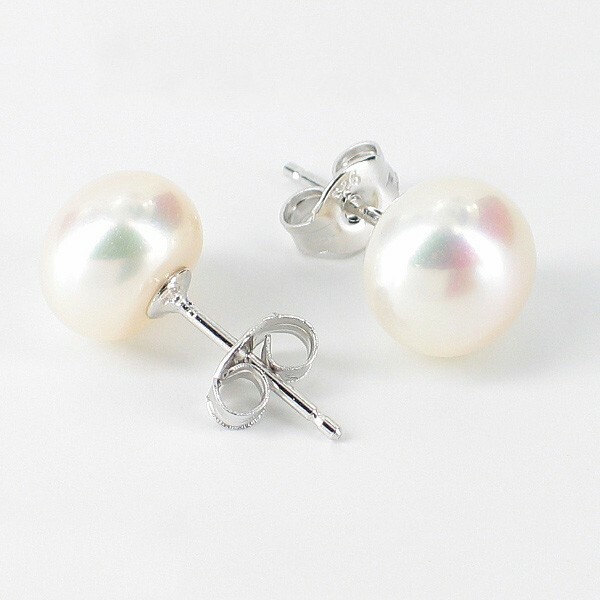 Lustrous freshwater button pearl stud earrings on sterling silver studs. Featuring mid to large button pearls at a truly affordable price. A great gift choice for Pearl Christmas gifts, birthday presents or just and simple 'thank you for being my friend' gift. A staple of every ladies jewellery box! Pearls are categorised using ‘body colour’ and refined with ‘overtone’ and ‘orient’. Overtone is the minor second colour/glow often seen on the surface pearls, in particular silver and pink overtones. Iridescence or orient (a rainbow of colours) can sometimes be seen on baroque pearls and is an optical effect much like oil films. (The same on the inside of an oyster shell i.e. Mother of Pearl). Natural white, pink/peach and lilac/lavender. Other colours are colour treated. Natural white. Most others are colour treated. Silver/pink overtones. Natural blacks/greys/silvers. Large overtone range. Natural white and golden/yellow. Mainly silver overtones. The ability to reflect light or the shininess of the surface of a pearl. Baroque and South Sea pearls tend to offer a more satiny lustre. We use a combination of descriptive wording and lettering for our symmetrical pearls. Description and GIA Terms refer to the Gemmological Institute of America’s pearl grading system. Overtone is the second colour/glow often seen on the surface pearls, in particular silver and pink overtones. Natural blacks and greys. Huge overtone range. Typical overtones for white pearls are: silver, cream and pink/rose. Typical overtones for black pearls are: Aubergine, blue, green and peacock. Most pearls are measured in half millimetre sizes e.g. 7-7.5mm although baroque pearls and large Tahitian and South Pearls are often measured in full millimetres e.g. 9-10mm. The ‘average’ pearl size of Freshwater and Akoya pearls is 6.0mm to 7.5mm although the typical popular size range is from 6.5mm up to 8.5mm. Prices rise exponentially from 7.5mm and up. The ‘average pearl size of Tahitian and South Sea pearls is 9mm to 11mm with the popular size range being similar. Prices rise exponentially from 10mm/11mm. Typically, round pearls are far more expensive than other shapes. Keshi, coin, flat, circled and ringed pearls may be symmetrical, semi-baroque or baroque depending on their nature. As pearls are cultivated in ‘live hosts’, the vast majority have some sort of natural marks much like humans. The number and severity of those marks reflect the grading and the price. It is rare to have perfectly spotless pearls however as even a very minute mark could be found on most. We use a combination of descriptive wording and lettering for our pearls. Description and GIA Terms refer to the Gemmological Institute of America’s pearl grading system. As pearls vary somewhat, we may also put written qualifiers for additional description. (These are world-wide standards and specifications for silver and gold jewellery). -All orders include FREE SECURE UK home or work delivery. Upgrades/Saturday delivery options at checkout. -Orders received by 3pm on a working day are dispatched same day. We use Royal Mail International insured services to EU countries £10.00 incl. Tax (3-5 days) and Non-EU countries £15.00 excl. Tax (5-10 days). Detailed Delivery Information Available Here. You may cancel your order within 30 days after receipt of goods and request a full refund or exchange subject to our Returns and Exchanges policy. Pierced earrings must remain sealed to be returned. Is Absolute Pearls a pearl jewellery specialist? Yes – We are a leading premium online pearl specialist based in the UK and trading since 2003. What used to be known as the ‘rice krispie’ pearls of the 1980’s have transformed to rival the famous Akoya pearls. Freshwater pearls are cultured in hand sized mussels in lake farms and are known for their wide range of shapes, sizes, colours and quality. 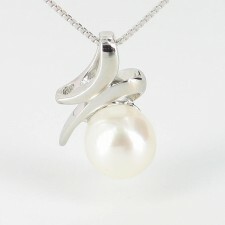 We offer a large range of Chinese freshwater pearls from amongst the best available. Baroque pearls are non-symmetrical pearls. They offer attractive and interesting free form ‘nugget’ shapes and allow you to wear fabulous pearl jewellery for a lot less spend than round pearls. Do you supply a Certificate Of Authenticity and Warranty? Each pearl jewellery purchase comes with a numbered Certificate of Authenticity and 12 month Warranty. Can I request a shorter or longer version of a necklace or bracelet? Yes, we offer free custom shortening of most strung items. (Allow extra few days for dispatch) Just request in the checkout 'order & delivery' notes (The spare pearls are provided and returns are still eligible). For longer versions, please email your request first before placing order. Pro-rata charges apply and returns eligibility is item dependent. Can I have a different clasp? Email or call for advice. Additional charges may apply. (This can delay dispatch by a few days). Are your pendant necklaces available without chains? Yes, if you wish to purchase without a chain, please email or call us for the ‘without chain’ price. Do you offer shorter or longer chains for your pendant necklaces? Please email with your requirements. Do allow 5 - 14 days additional delivery time. Do you offer a free Presentation Case? All products have photographs showing the presentation cases they are presented in free of charge. 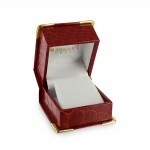 Many of our deluxe products come in an exquisite wood style case to ensure superior presentation. Do you offer a gift wrapping and message service? Yes, gift wrap service is available on request at checkout. Will you send a gift direct to the recipient for me? Yes we can, both in UK and overseas. Enter their details in the ‘delivery address’ field in the checkout. Don’t forget to request gift wrap and a message also. All our diamonds are certified conflict-free by our supplier. Is your sterling silver and gold hallmarked? All our precious metals are hallmarked at an UK Assay Office in line with UK Legislation. Items under the hallmarking thresholds are stamped by the manufacturing factory. Most of our 925 solid sterling silver jewellery is rhodium plated for tarnish resistance and enhanced quality. Can I change the colour, pearl shape or other aspect of your products? Yes, in some cases. Just complete our feedback form or call us for advice. Can you help me to match with something I already have? If you are trying to match with an existing piece of pearl jewellery, please email a photo of your item or call to discuss colour matching. Are your prices fully inclusive? Our prices are fully inclusive of UK VAT and UK Delivery. EU and international deliveries require additional postage available at checkout. VAT will be deducted for international shipments. Are your pearl sets cheaper than buying individually? Regular prices of our pearl sets are typically around 3-5% less than buying individually. It may sometimes be less expensive to buy individually if a component is on sale. What if I have any special requests? Any requests about your order can be entered in the checkout 'order & delivery' notes. (example requests: Shorten to 16", delay dispatch until Tuesday) Call or email us with any pre-order requests. Free Next Working Day Delivery if ordered by 3pm on a working day. Simply enter your email address below to join our mailing list, and you'll be first to hear about Absolute Pearls special offers and our latest arrivals. No longer want to receive marketing emails from us? Expires 11.59pm on 30 Apr 2019. Only valid for online purchases. Discount is only applied to the product cost and not to gift wrapping or upgraded delivery charges. If you need to return a product you have purchased in a previous order, this will invalidate the discount code provided to you in this offer and any discount you received from using this code will be deducted from the amount we refund to you. The Discount Code must be entered into 'Discount Code' field and the 'Apply Code' button clicked to apply it. It is the customer's responsibility to ensure the code has been applied prior to proceeding and paying for the order. Any discount code cannot be applied retrospectively. This offer may be withdrawn at any time without notice and is subject to availability.